When I was working as a teacher it was easy to keep up with my garden. I planted in the spring and harvested when things were ready. I didn’t plant anything in the summer or fall because I wouldn’t have time to deal with it after school started back. Simple. Now that I’m retired I garden year-round and it gets kind of confusing as to what varieties I’ve planted, when I’ve planted them, when I’ve started seed pots, etc, etc, etc. So, to help me keep up with it all; I decided to start a garden journal. It’s nothing fancy, just a three-ring binder with a spiral notebook inside. I have four sections in the notebook. In one of the inside pockets I keep my planting guides. I have three of them. One is from the agricultural extension service, one is from the local garden club, and one is from a local feed store. You would be surprised at how much variation there is in planting dates. I actually took the information from all of them and then made up my own chart where I tried to hit the sweet spot by averaging the dates on the three others. 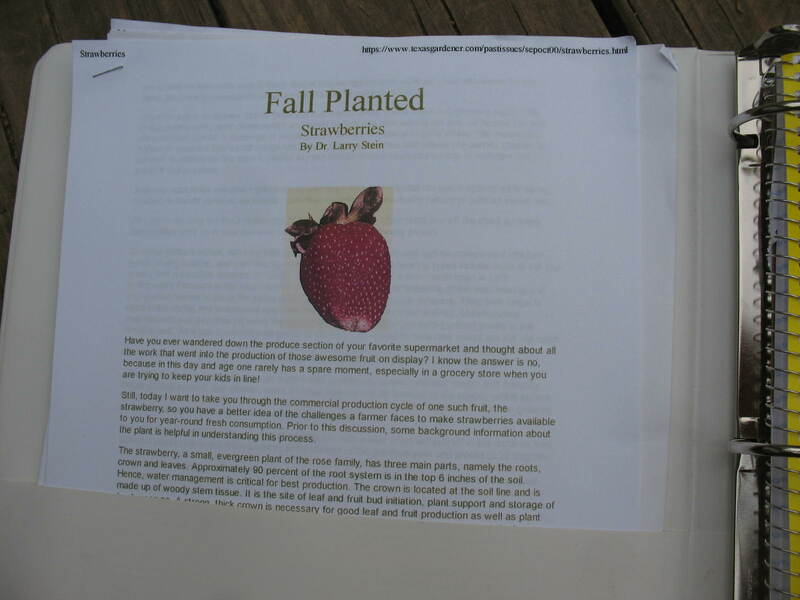 In the other pocket I keep print-outs from the extension service on how to care for plants that I have not planted before. For example; in the last year I have planted asparagus, strawberries, blueberries, blackberries, figs, and almonds. 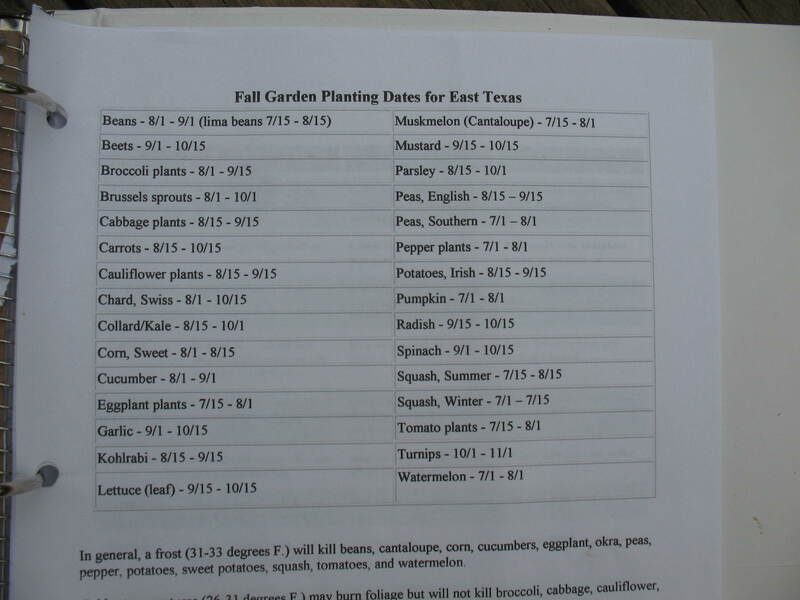 I have sheets on all of these telling me when to prune, when to fertilize, when to harvest, etc. 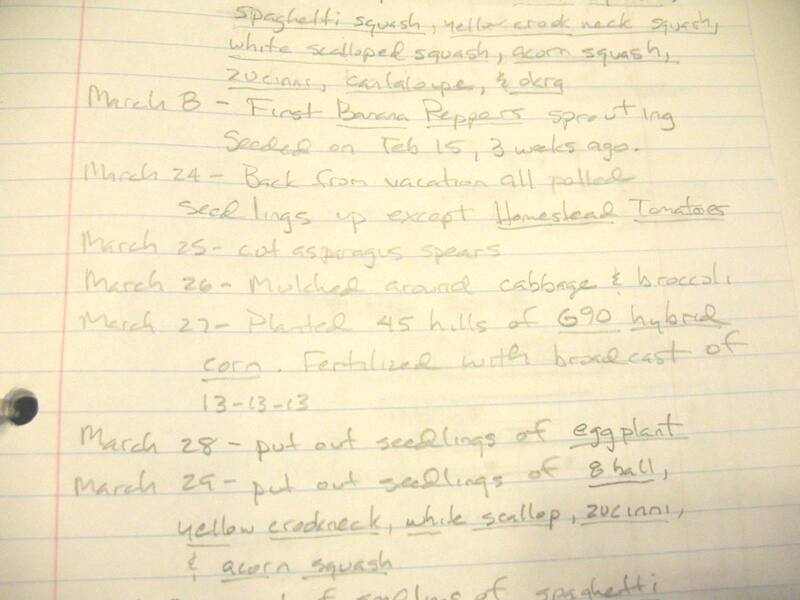 In the spiral notebook I keep a day to day record of what varieties I have planted, when I planted them, when they sprouted, etc. 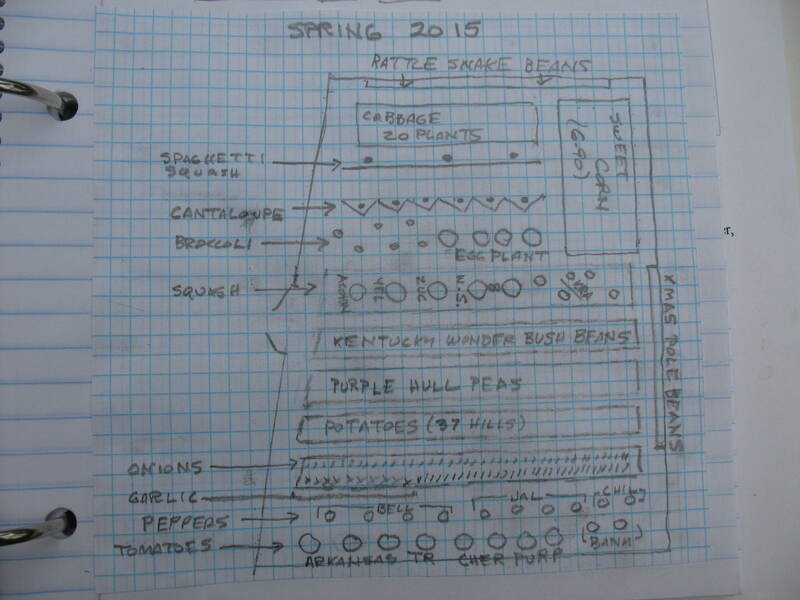 I also include a scale drawing of my garden and where everything is planted. 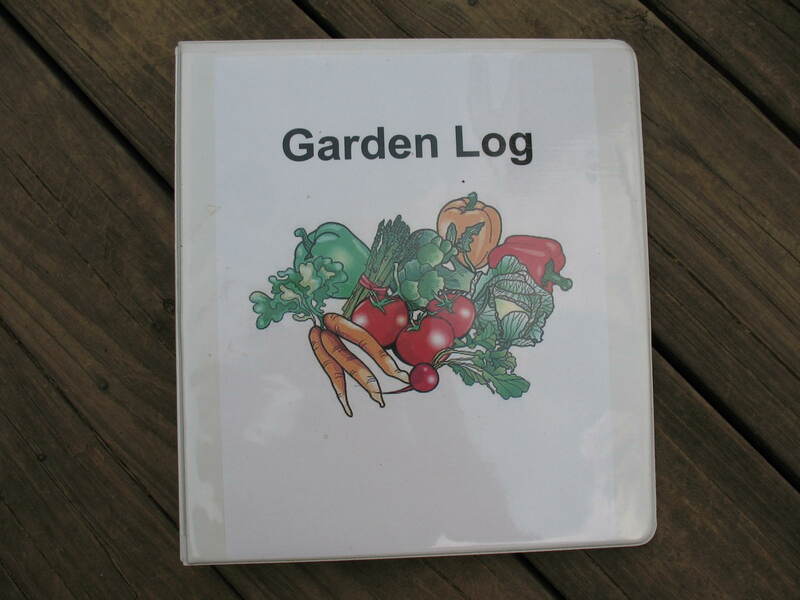 This helps me rotate crops, and plan my companion planting. I will update the garden diagram in mid-summer and fall as I replant. The final thing I keep (or will keep, since I haven’t started harvesting yet) Is a detailed list of the yields that I get from the garden. It should be a simple matter to drop each basket of produce on my scale and jot it down on the list. I will be very interested to see exactly how much I harvest of each crop. This is such a good idea! I think I’m going to do the same thing this year for my garden, especially the recording of produce. I have never done that before and so I never know how much my garden actually produces. Thanks for your informative articles.